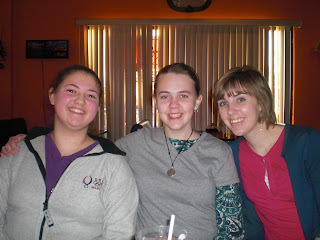 January 12th was my birthday, so I went out to eat at the 'Los Cabos' Mexican restaurant with some friends and family. In spite of (or perhaps, because of),the fact that I tried to keep the waiter from knowing it was my birthday, I ended up wearing a sombrero and having whipped cream shoved in my face while the restaurant staff sang 'Happy Birthday' in Spanish. I would have posted all this sooner, but I had to get the pictures from Natasha. 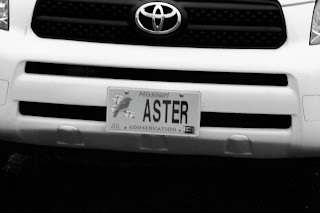 Apparently, my neice isn't the only Aster in town! 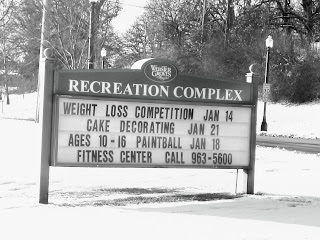 Weight loss, then cake decorating... It seems as if they've got the order a little scrambled! While Mom was shopping at the 'Loaves and Fishes' store in downtown Washington, I took the opportunity to snap some pictures of the railroad tracks and river. Train tracks... More train tracks... And still more train tracks... Enough train tracks! The night is clear, cold, and enchantingly silent. Brilliant stars glimmer overhead as two graceful figures glide swiftly over the frozen pond. 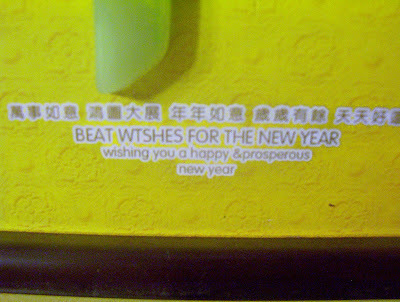 All is still, harmonious, peaceful.... 'scraaaape, scraaaape'. 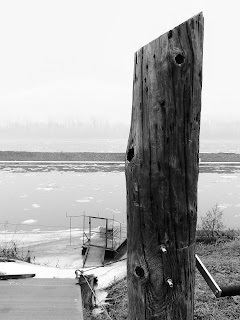 A nerve-jarring noise shatters the frosty tranquility as a green plastic lawn chair is pushed protestingly along the ice. Behind the chair stumbles a half-frozen Janie, trying to master the fine art of ice skating. Clutching the chair back for dear life, she totters perilously as she stops to watch the other skaters glide effortlessly by. 'Ah well,' she reflects, 'all good skaters had to begin somewhere.' With this encouraging thought, she gives her chair another shove and slithers on.